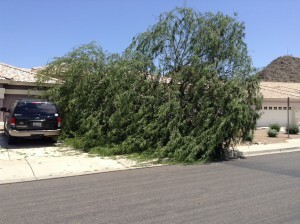 Proper tree care is essential for the health and safety of trees in an urban environment. Using correct industry standard tree trimming practices would have saved all of the trees that we removed from the recent storms. Tree pruning / trimming is vital for trees that grow around your home. Low hanging branches can be dangerous to people passing by, canopies that are too large catch the wind and will blow over your trees. Call us today to schedule a consultation.